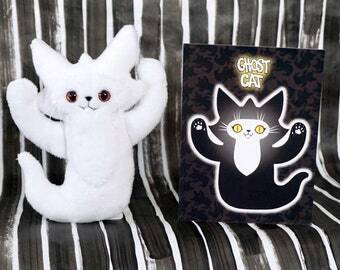 I draw the pattern digitally, deciding on the ghost cat's features. 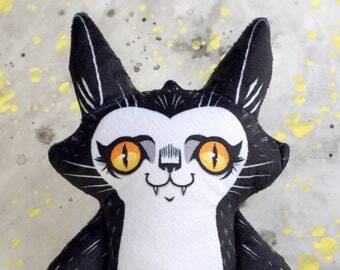 I then have the pattern professionally printed on soft minky fabric. 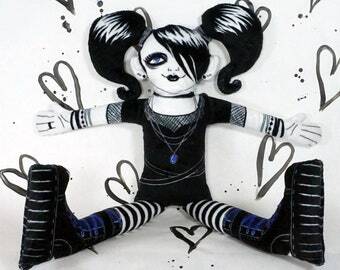 The image becomes part of the fabric and is bright and colourfast. 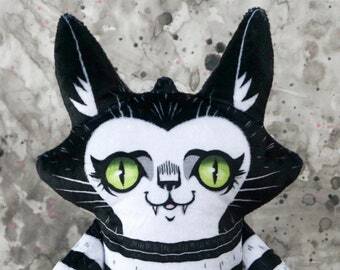 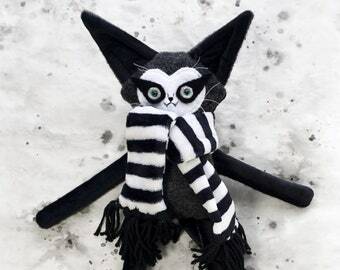 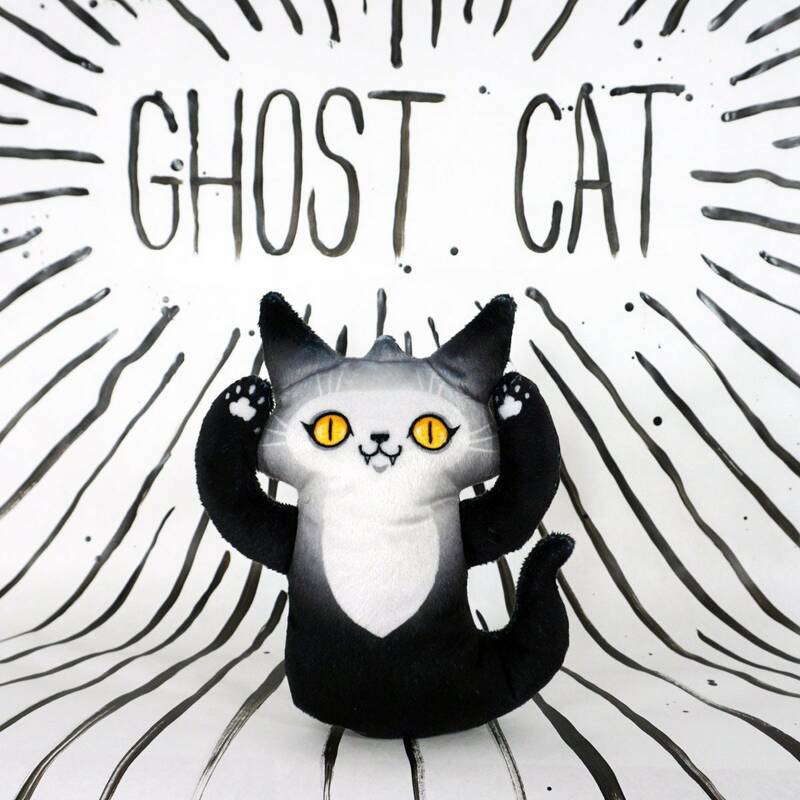 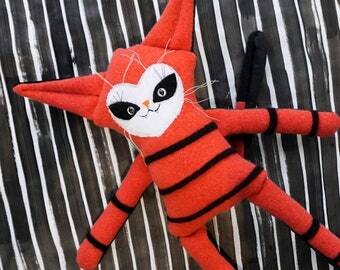 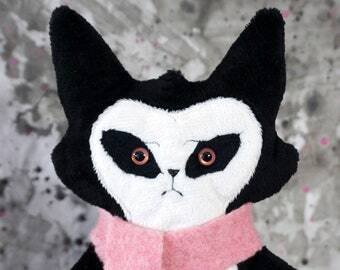 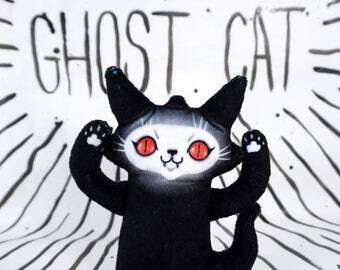 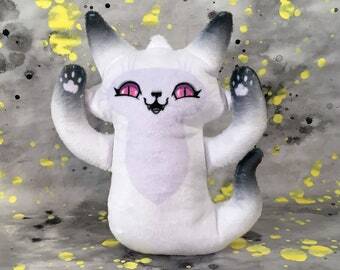 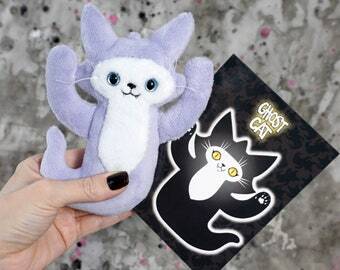 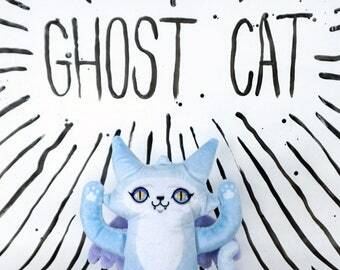 I then hand cut and sew each and every ghost cat in my studio. 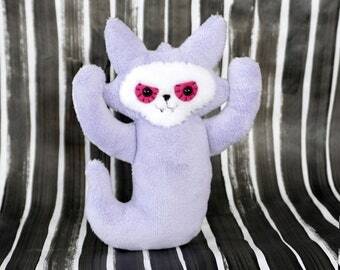 I softly stuff the little guy with polyester fibrefiller. 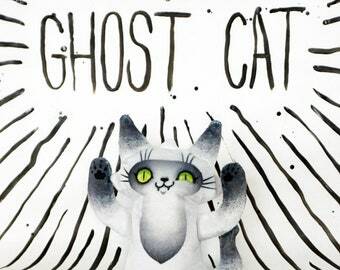 And finally I attach the postcard, the front has a Ghost Cat, the back has some examples of what to blame Ghost Cat for.